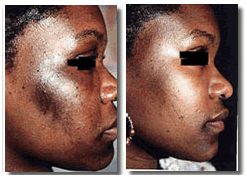 Microdermabrasion is a beautification technique that is used mainly to 'polish' the face and the neck. Better known as 'skin polishing', this technique is fast turning into a rage amongst those wanting a blemish-free complexion. Q. What is Microdermabrasion (MDA) and how does it work ? MDA is a superficial skin polishing procedure. This machine, exclusive to physician providers, propels a fine stream of inert microscopic crystals against the skin to gently exfoliate the epidermal layer and promote a thicker healthier dermis while smoothing and refreshing the skin. The use of a vacuum within the system helps to increase circulation in the area. Q. Who are the best candidates for Microdermabrasion ? The best candidates for Microdermabrasion are those patients that: cannot afford to take time off for healing from a chemical peel or laser procedure. don't want to put off their outdoor activities like golf, tennis or skiing. have skin sensitivities to chemicals or make-up. have acne-prone skin that has not responded well to other acne remedies. are younger and whose skin is showing early signs of aging. You will not need any aesthesia. Refrain from waxing, electrolysis and depilatories for four days before and after your treatments. Discontinue Accutane usage six months prior to, and during, the treatment period. Discontinue retinol and AHA usage two days prior to and two days after each treatment. Wait two weeks after filler injections. Do not wear makeup or contact lenses to the treatment. Skin should be free of herpes (cold sores) in the lip area. The skin is cleansed thoroughly to remove all oil and debris. Q. What are the treatments like ? The complete procedure takes approximately 45 minutes. A minimal amount of redness and tingling develops, which ends within one-two hours Within two to five days, a light peeling is faintly visible and lasts about five days. If you have a history of herpes (cold sores), you should inform your technician prior to the procedure. You may experience some stinging, redness, irritation and crusting. 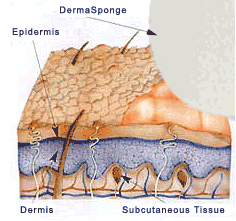 It is common to experience some temporary flaking or scaling, redness and dryness of the skin. Do not touch or peel the flaking skin - add moisturizer. Avoid frequent face washing with water because it dries the skin too much. You may want to wait one day to apply makeup. Do not use glycolic, Retin A, exfoliants or astringents for two days after the treatment. If drugs for herpes (cold sores) were prescribed, they should be continued until the prescription is complete. If you are prone to herpes (cold sores), ask us for a prescription for Zovirax. You will need to treat these cold sores for 24-48 hours prior to treatment and 24-48 following treatment. For more information about Microdermabrasion, we encourage you to call to schedule an in-office consultation. Q.How many treatments will I need ? Although fantastic results are achieved with the first session, a minimum of six treatments is recommended for long-lasting results. These treatments are usually given every two weeks. After the first six sessions, you should receive treatments once a month to maintain your youthful-looking skin. Q.What results can one expect ? Clients often report early benefits to their skin, depending on the area and condition treated. Many report a softer smoother younger looking skin with considerable reduction in the epidermal damage related to age, sun exposure or trauma. Stretch marks and acne scars can be slower to respond. Q.What Are The Benefits Of Microdermabrasion Over Other Procedures ? Q.What are potential side effects ? Side effects are minimal and usually transient. Rarely patients may report mild discomfort, itching, redness or mild swelling for 2-7 days after the procedure. Skin flaking may occur for a few days post peel.